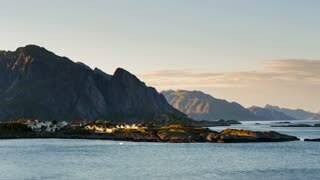 The small fishing village of Å i Lofoten, Lofoten archipelago, Norway. 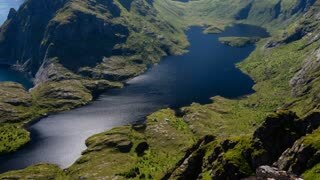 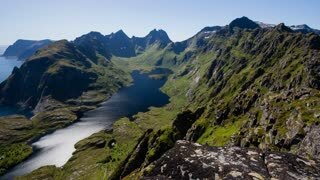 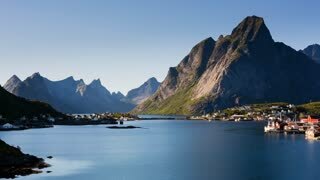 Lake Agvatnet, the village of A i Lofoten and the Norwegian sea, Lofoten archipelago, Norway. 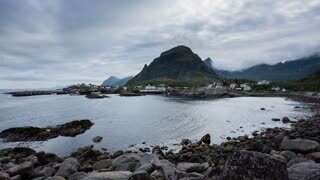 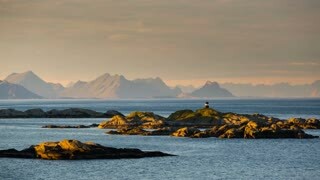 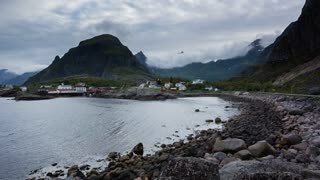 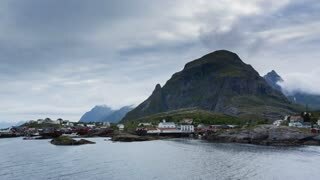 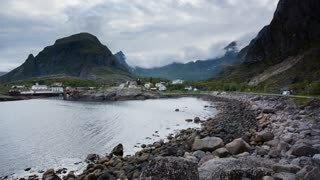 Establishing shot of the Lofoten archipelago near the fishing town of Reine, Norway. 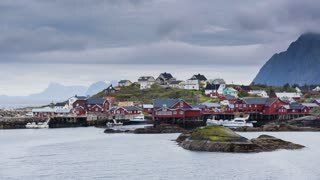 Establishing shot of the fishing town of Reine on the Lofoten archipelago, Norway. 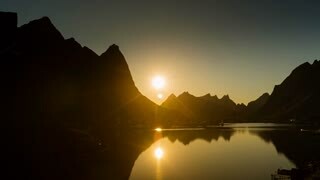 Establishing sunset shot of the fishing town of Reine on the Lofoten archipelago, Norway.